It’s all great and wonderful that we work on which eating and exercise program will be the best one for us in order to achieve the quickest results. However, there is one thing that must be put into action before any of these things work. 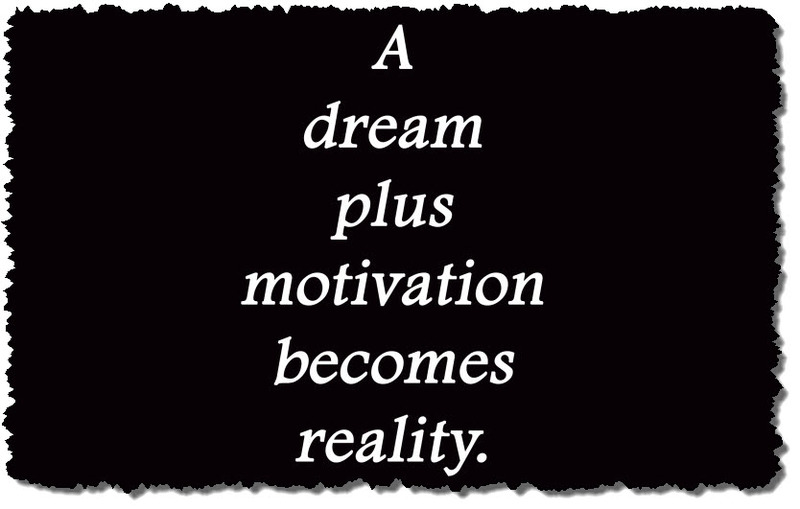 Motivation is something we all want more of or believe we need more of. It is a mix of discipline and desire that we draw upon when needed. It is what propels us out of bed or out the door to our work-outs. Motivation is our ability to take action-our own personal power is our ultimate success factor. Fitness success comes down to our ability to motivate ourselves to take consistent action to keep working towards changing negative habits and replacing them with healthier choices. Our motivation to act is the ultimate key to fitness success and is way more important than which specific nutrition or training plan to choose. You can easily choose a plan of action but without motivation to act nothing gets done. There is no follow through nor is there any “sticking” with it. It matters not whether your goal is eating better, fitness improvement, weight loss, health management, muscle toning, or energy increase. None of these have anything to do with exercising more or dieting harder. What does matter is the way you think…and the way you think about yourself. If you’re the type of person that has difficulty sticking to healthy eating or a regular fitness program, if you constantly struggle to get in better shape than its time to begin thinking differently. Ask yourself some questions. If you desire to be in better physical shape then ask yourself what it would take to achieve that and hold that question in your mind. You need to be looking for habits that are not working…ones you need to let go of…and that begins with and includes your thoughts. 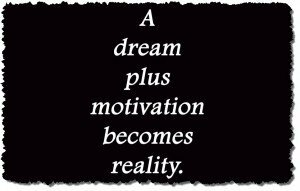 The word motivation itself is derived from a Latin word motive-meaning “to move” and is the catalyst to action or energy in motion. It propels us to accomplish something. Without motivation there is no forward motion in life…your life literally stands still. Rather than buy into the fairy tale that someday we will wake to a boat-load of motivation, we’d be better off realizing that motivation is something we create for ourselves, not something we wait for. Your decision to choose a healthier lifestyle is not a decision you make once-it is one you make every single day for the rest of your life. There will always be a cross-roads and the choice is always yours. Will you fade away after the initial burst of enthusiasm or will you learn to take control of the energy that moves you…that force that propels you into action is the key to effortless sustainability. More so than any other factor, more than knowledge and even more than the perfect exercise program or eating plan is your ability to create, sustain and renew daily your motivation. It determines your success in living a healthier lifestyle. Think ahead of time about what reasons/excuses could possibly surface that would work to derail you and plan a strategy to stop them before they happen. Although rock solid discipline is important in achieving success in any endeavor and is especially important in getting you going…it is short term strategy and motivation can keep you going and on track for the long haul. Sustaining a lifetime of healthy active living requires a steady stream of ever evolving motivation from within that will carry you to new heights. Make your personal motivation level your very first lifestyle goal to work on and the rest will follow naturally. If you place a premium on exceptional health and have concerns about cancer then my “Just Say No To Cancer” program can help you. Cancer is a monstrous threat and merciless killer but most cancer can be avoided with the right information and help.